This prayer was in my parish bulletin this week. I wish each of you a Blessed and Happy New Year! I pray that you awaken my spirit, touch me in the deepest part of my being, open my spiritual eyes to see you as my God, my Creator, and my Savior, always by my side. Open my ears to hear your voice during the night and business of the day and in the turmoil of my inner conflict. Dear Lord, let me arise each morning knowing that there is nothing today or in future days that will happen that you and I cannot handle together. And finally, God, please help me to be a reflection of your love to all those around me each day. Amen. Why is Mary referred to as "The Undoer of Knots"
The concept of Mary as the undoer of knots dates all the way back to the second century. In his work Against Heresies, St. Irenaeus of Lyons wrote, "And thus also it was that the knot of Eve's disobedience was loosed by the obedience of Mary. For what the virgin Eve had bound fast through unbelief, this did the Virgin Mary set free through faith." Pope Francis quoted this on October 13, 2013, during his prayer for the Marian Day on the occasion of the Year of Faith. He explained how our sins create knots, which take away our peace and serenity. He then said, "Mary, whose 'yes' opened the door for God to undo the knot of teh ancient disobedience, is the Mother who patiently and lovingly brings us to God, so that He can untangle the knots of our soul by His fatherly mercy." Let's turn to Our Lady for help with untangling the knots in our lives. The years of Jesus' childhood are unknown to us which make them fertile grounds for the imagination. What happened in those years when Jesus was young and living with Joseph and Mary, growing in faith and knowledge? 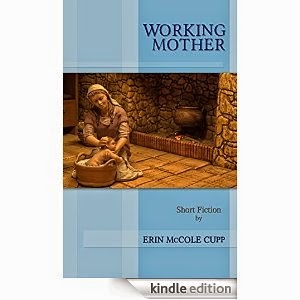 In Working Mother, Erin Cupp imagines a scenario in Egypt in which Joseph cannot work due to an injury and Mary is forced to leave her family for a time in order to work as a wet nurse and earn them enough money to live. It is a powerful short story about a mother's love, the complexity of relationships, and a woman doing what needs to be done for her family, even at great personal cost. Wishing you all a very Blessed and Merry Christmas! May the peace of Christ fill your homes and your hearts. Am I Spoiling My Child or Accommodating Him? One of my friends shared this link on Facebook and I simply had to share it here: Am I Spoiling My Child or Accommodating Him? The writer shares so much more eloquently than I could one of the hardest challenges of having a child with behavioral special needs. Even before David was ever diagnosed with Aspergers, I knew he was different. Well-meaning people gave tons of parenting advice and I am so thankful that I didn't follow most iof it and instead listened to my own parenting instincts. (Don't get me wrong, there are plenty of things I would have done differently had I had more knowledge, but I did the best I could.) Even years after a diagnosis, there are still plenty of people who feel compelled to comment about various aspects of my parenting, and I admit, in my moments of self-doubt, I beat myself up and wonder what I could have done or what I could do now to make things better. I pray, take each day as it comes, and continue to try to do the best I can. Now I have a daughter who is adopted, who by virtue of that fact, also needs to be parented differently. I have learned so much about the wounds that adopted children, even ones taken at birth, have within them, and I learned the lessons the hard way - by making tons of painful mistakes. And so, now, I try to accommodate, and once again, take a ton of criticism, even from my older children who don't understand why I parent her differently in some ways from how I parented them (Plus they are teenagers at the stage in which they know everything and Mom is apparently woefully ill equipped for life!) Once again, I wonder every day whether I am doing the right thing. Once again, I pray, tackle each day, and try to do my best. I realize most people simply don't understand what it is like to have children who don't fit the traditional mold. I realize they are trying to be helpful. I realize that some of these people actually love both me and my children. If anything, this parenting journey I am on has taught me not to be judgmental of other parents. If I see a parent struggling, I pray for her and her children, because I do not know the story. And if anyone wants to pray for me, I'm always thankful. 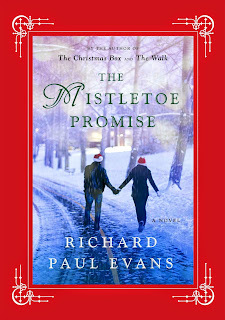 I always look forward to a new Christmas story by Richard Paul Evans (author of The Christmas Box) and was thrilled that my copy of The Mistletoe Promise came in from the library before Christmas! I went on a binge-read today and totally enjoyed every minute of it. Elise Dutton's husband left her three years ago for her best friend, leaving her lonely and sad. Complicating matters is a painful secret from her past that she can't recover from. Nicholas Derr is a high-powered attorney who works in the same building as Elise. The day after Halloween, he suggests that they make a Christmas contract, dubbed the Mistletoe Promise, to spend the holidays together as a couple in order to not be alone and have someone to go to holiday events with. After some thought, she agrees, and he is truly a man made in heaven - kind, attentive, and showering her with gifts, but she knows it all must come to an end Christmas day. This is an amazing love story - the kind that only exists in fairy tales - and there are some plot holes, but the tale holds some surprises and will definitely keep you reading until the satisfying conclusion. It is a powerful story of forgiveness. Evans has crafted an enjoyable holiday romance and fans of his writing will eagerly devour this latest work. 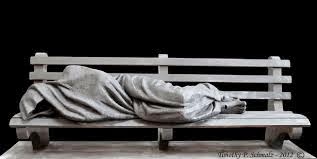 This line, combined with the experience of meeting a homeless man wrapped in a blanket sleeping on a street in downtown Ontario, Canada, was what inspired sculptor Timothy Schmalz to create this image of Jesus on a park bench. The first statue was installed at Regis College in Toronto with others now being located around the world. Last fall, he presented the sculpture to Pope Francis who blessed it.It provides a visual reminder that Christ is in everyone we meet, even when it is hard to see; perhaps most especially when it is hardest to see. I always enjoy getting in my copy of The Catholic Mirror and finding out about the great things happening in our Diocese of Springfield, MA. The December 2014 was no exception. It features wonderful stories on an older woman who has knitted more than 2,800 hats for newborns at Boston Medical Center's NICU, a local family that chose life and welcomed triplets, a celebration of priesthood, and a man who found new meaning in his faith when he started creating creches for Nativity scenes. Read all these stories and more in the online edition of The Catholic Mirror. "A Dream of Home" is the third novel in the Amish fiction Hearts of the Lancaster Grand Hotel Series, but one need not to have read the first two to enjoy this book about finding where one belongs in the world. Madeleine Miller was a military nurse who lost her fiance. In search of healing, she returns to her late grandmother's home in the heart of Amish country in Pennsylvania. While her mother left before being baptized, Madeleine still spent many childhood summers here and remembers it as a place of peace, something she desperately needs. Saul Beiler's wife left him, his daughter, and the community for life with another man. He's determined to keep his distance from the young woman who just moved in next door, but his daughter wants nothing more than to become friends with her. In spite of himself, he finds himself falling for a woman who is clearly off limits. This is a quick read about healing and second chances which fans of Amish fiction will enjoy. Father, thank you for creating me as a unique person. Thank you for creating me in love and for love. Please help me to live the purpose of my life, to live in true love, and to truly love others. Thank you for creating my body and soul. May I allow your healing grace to flow into the areas of my soul that are wounded, and may the grace of the Resurrection of Jesus become living and active in my life. Amen. 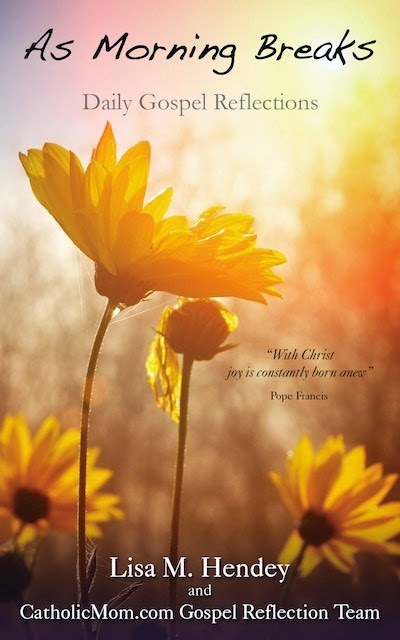 Looking for joy in 2015? Begin each day of the year with As Morning Breaks: Daily Gospel Reflections, a new ebook just released by Lisa M. Hendey and CatholicMom.com. This book was written in collaboration by over thirty authors, all of whom freely volunteered their work. The writing team includes men and women, parents, singles, a married Deacon and his wife, a religious sister and writers of all ages. As Morning Breaks contains 365 daily reflections from various vocational perspectives; with each, the reader is invited into a further examination of the Gospel passage. A "ponder" question is provided for contemplation, discussion or journaling. Each meditation ends with a brief prayer to help you transition to your own quiet meditation. With links to each day's Gospel passage, and following the liturgical calendar of the Catholic Church, this book is designed to offer you a beautiful, prayerful and joyful start to your day. 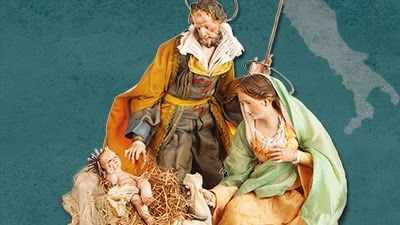 The Knights of Columbus Museum’s 10th annual Christmas crèche exhibition, Buon Natale: Crèches of Italy, features two dozen Italian inspired Nativity scenes on display. The highlight of the show is a 120-square-foot Neapolitan diorama. Crèches have been a popular part of Western Christianity for more than 800 years. Introduced in Italy by St. Francis of Assisi, they served as a way for everyday people to reflect on Jesus’ modest birth. Through the centuries, crèches have developed into large and ornate displays in communities as well as humble presentations for homes. 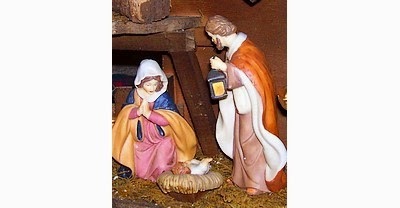 Perhaps the most recognizable and popular style is the Neapolitan crèche. These Nativity scenes placed the Holy Family not in the stable setting of Bethlehem but in the heart of 16th-century Naples. These elegant and elaborate scenes feature the Child Jesus in the midst not only of adoring cherubs and shepherds, but also among ladies and gentlemen of nobility, merchants, musicians and various commoners; literally among the active daily life of the community. by Sr. Miriam James Heidland, S.O.L.T. 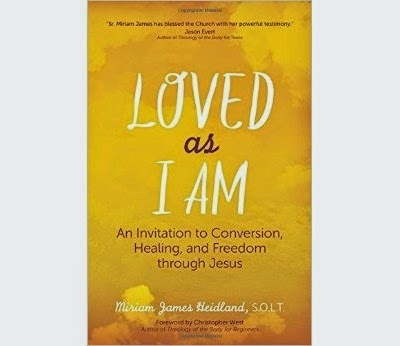 “Loved as I Am: An Invitation to Conversion, Healing, and Freedom through Jesus” is written by a religious sister who has experienced conversion in a very dramatic fashion, but this book is for anyone who is wounded, suffers from addiction, or feels unloved and/or unlovable. Sr. Miriam understands the desire to be loved and the ways that desire can lead us to find comfort in created things rather than God, especially because that is the prescription that the world at large offers us. The “voices of the world . . . tell us that happiness lies in acquiring possessions, wealth, and popularity, and these same voices often try to push God out of the picture. In “Loved as I Am,” Sr. Miriam offers a different way, rooting one’s identity in God, and discovering our value as his children. It is only in “choosing true and authentic love of God, ourselves, and others” that we will find true happiness and peace. The other road only leads to pain. Making that choice is an on-going process, and Sr. Miriam acknowledges that the road can be long and hard. She, like the rest of humanity, is a work in progress, but her conversion story is truly remarkable. “Loved as I Am” is a quick read that you won’t want to put down. It is an amazing story of God at work in Sr. Miriam’s life, the lessons she has learned, and the powerful message of healing that she wants to share with others. 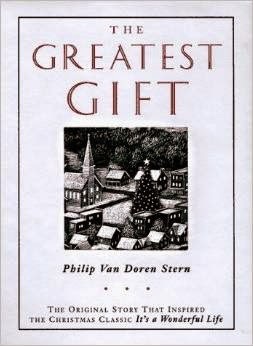 Did you know that the iconic Christmas movie, "It's a Wonderful Life" was based off of a short story by historian Philip Van Doren Stern? I didn't until I saw this book, The Greatest Gift: The Original Story That Inspired the Christmas Classic It's a Wonderful Life , recently at a local book store. I had to read it! Admittedly it is hard to judge the story on its own merits, in light of the fact that the movie version starring Jimmy Stewart is so well-known. Suffice it to say that this version is different, but the main components are there. It is very interesting to read and compare. Perhaps the most interesting part of this 1996 edition is the afterword by Van Doren Stern's daughter Marguerite Stern Robinson. She shares how the idea for the story came to him on February 12, 1938, when he was shaving. It wasn't until 1943 that he showed the finished story to his agent. It never found a buyer. The author had become fond of the story, however, and decided to pay to have 200 copies printed in pamphlet form which he sent out for Christmas in 1943. The rest, as they say, is history (but definitely worth reading about!). I've always loved the image of Santa bowing down to the Christ Child because it helps keep the focus of Christmas where it belongs, while not denying the important role that Santa and gift-giving plays in our culture. That's why I was so thrilled to see this ad played during the Macy's Thanksgiving Day Parade. Hopefully, it will remind at least a few lapsed Catholics that the door is always open and we'd love to see them come home for Christmas and every Sunday of the year. “Mr. 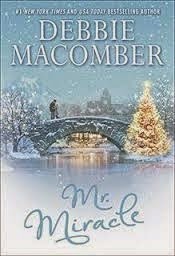 Miracle”, the latest Christmas story by best-selling author Debbie Macomber, tells of Harry Mills, an angel sent to earth to help Addie Folsom, a woman who needs a second chance at both education and love. Harry, posing as a college professor, is new to Earth and has only observed it from the bliss and safety of heaven. While well-intentioned, he is ill-prepared to deal with human emotions and will definitely face a learning curve while on assignment. Meanwhile his charge, Addie, is trying to rebuild her life after returning home six years after she left in an act of teenage rebellion. Dyslexic, she has one more class to complete in order to earn her high school diploma. She is also coping with her father’s recent death and her next-door-neighbor, a young man she had a crush on, but who always treated her with disdain. This is a light Christmas romance, perfect for some easy reading to help one get into the Christmas spirit. The Christmas Novena - What Do You Want Most for Christmas? The Christmas Novena starts on the Feast of St. Andrew (Sunday, November 30th) and goes through Christmas Eve. This year it happens to coincide completely with Advent. It is time to prayerfully consider what we want most for Christmas this year and bring those desires to God. I've seen different versions of how to say this novena - some say to say it 15 times a day while others have it as just once a day. However you do it, humbly request God for the blessings that you desire most this Christmas. This prayer came in a card that was sent to me. No author was listed. I wish you all a very Happy Thanksgiving! Help us to forgive one another, to affirm and nurture one another, to celebrate our lives together. for the people who helped prepare it and for all of God's gifts to us. Jesus is our light and our salvation. We give thanks for all the many gifts we have received. Let us also remember those who today are lonely, hungry, or homeless. and celebrate the gift which they have been and continue to be for us. Lori Pickert and her family began homeschooling when her sons were four and seven. Before homeschooling, she founded a small private school with a Reggio-inspired, art- and project-based curriculum and served as director for several years. "Project-Based Homeschooling: Mentoring Self-Directed Learners" is focused on child-driven projects - how to inspire and gently coach them. This book will greatly appeal to unschoolers, but it is for other homeschoolers as well. Pickert is adamant that this approach can be used as part of one's approach to homeschooling. "Project-based homeschooling isn't just about learning how to learn - it's about learning how to think and how to do." When children choose to work on an activity, they are invested in it. It is an authentic learning opportunity. It allows them to experience trial and error and to learn how to solve problems. It also teaches them how to finish a project, a skill that many adults have difficulty with. Pickert gives wonderful examples of children working both alone and together and offers instruction on what types of spaces and materials are needed to have this type of learning happen. It would take a very organized and flexible homeschooler to manage this type of learning with several children spanning several years, but even if one can only incorporate some of this type of learning, it is a great benefit to the child. The Sacred Space website began in 1999, sharing prayers from the Irish Jesuits on a daily basis. In 2004, the prayers began to be available in print as well. Beginning with the start of the liturgical year (November 30th this year), there is a scripture reading and short reflection for each day. In addition, there is a reflection for the start of each week - an overriding topic to "think and pray about." The Jesuits "invite you to make a sacred space in your day and spend ten minutes praying, wherever you are." They encourage us to "remember that God is everywhere, all around us, constantly reaching out to us, and interested in meeting us, even in the most unlikely situations. When we know this, and with a bit of practice, we can pray anywhere." 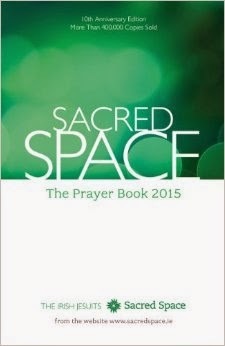 Sacred Space is an easy-to-use prayer companion, perfect for busy people searching for an opportunity for spiritual growth and reflection. For me, saying "yes" to God is one of those things I'm growing into. 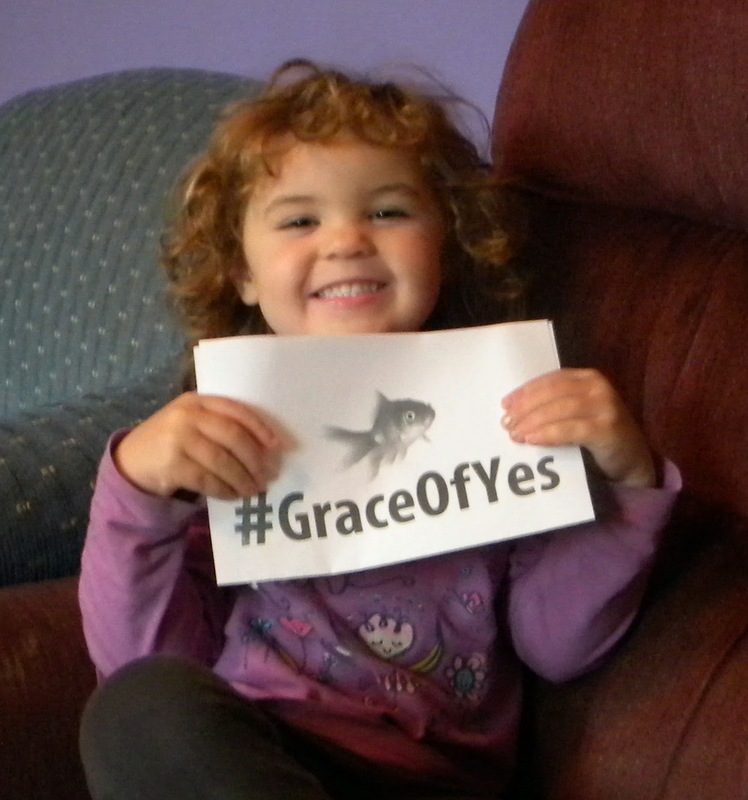 I often say "yes" kicking and screaming with some crying thrown into for good measure. I think learning to trust God is a lifelong process, or perhaps I'm just a slow learner, or maybe it's a little of both. In any event, my adopted daughter Amy represents one of the biggest "yes" moments of my life, so I took her picture with the sign. It's been almost four years since I got an out-of-the-blue phone call asking me if I wanted to adopt a baby girl. I'm so glad that I said yes. In Abbey Creek, Australia, live the Angel family. Led by Mum and Dad, the children include Edward (14), Kate (12), Joe (10), Celeste (7), Lizzie (5), and Annie (2). 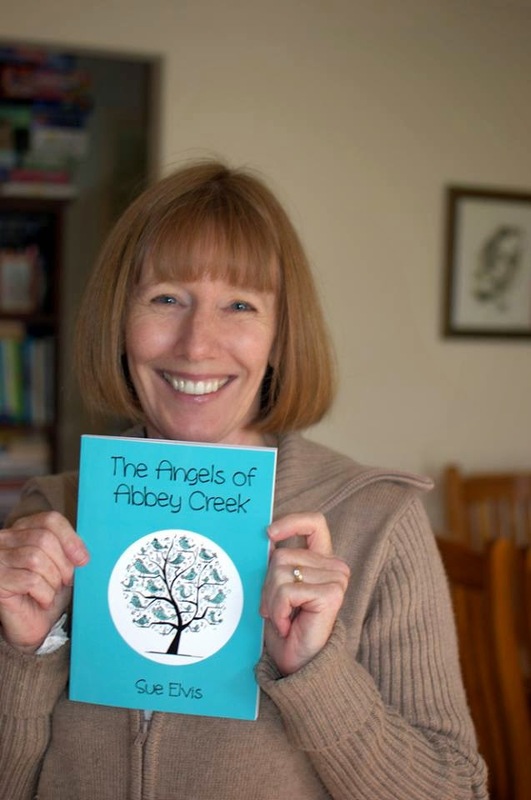 Written by Sue Elvis, a Catholic homeschooling mother of eight who lives in Australia, and illustrated by Ariana Krause, a homeschooled teen from Oregon, it's no surprise that the Angels are a Catholic homeschooling family! This is a charming tale featuring a year in the life of this family living in the Bush country. It begins on one New Year's and ends on the next, bookended by the Dad's resolution to "do more things as a family and to have fun." This reads like an updated 1950s Catholic story book and it will greatly appeal to those searching for a wholesome read-aloud for the whole family. Children will enjoy learning a bit about life in Australia in the process and parents, especially mothers, will relate to the challenges of raising a family. Things sometimes go wrong and there are some truly laugh out loud funny moments, but things always work out for the good in the end. This is a fun book, set in the present day, but reminiscent of a bygone era. Confession, also known as The Sacrament of Reconciliation, can be a hard sell, even among Catholics who actively practice their faith. 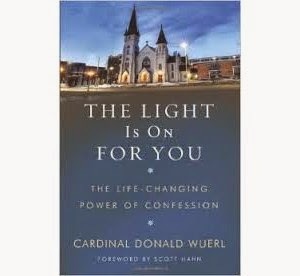 In the Introduction to The Light is On for You: The Life-Changing Power of Confession, Cardinal Donald Wuerl acknowledges that only “slightly more than 60 percent of practicing Catholics go to Confession.” Clearly, this is a sacrament with a marketing problem. Yet, this sacrament is one of God’s greatest gifts. Even though she is a Doctor of the Church, St. Thérèse of Lisieux is more well-known for being the “little flower” of Jesus. Through her “little way,” she has inspired many Catholics to love God simply, devoutly, and with great love. St. Thérèse believed that no act of faith is too small for God. Loving God in this way wasn’t always easy for St. Thérèse, but even through her suffering and death at age twenty-four she tried to love God with all her heart. 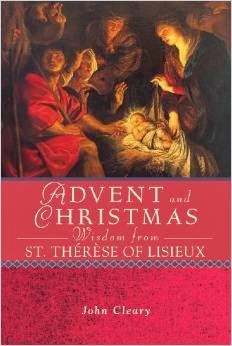 Author John Cleary uses passages from "Story of a Soul," the autobiography of St. Therese of Lisieux to inspire us to embrace our own smallness this Advent and Christmas. Sophia Institute Press has just released a special 10th Anniversary Hardcover Edition of Angel in the Waters by Regina Doman, illustrated by Ben Hatke. As far as I am concerned, this is one of the most beautiful books you could read to a young child. It portrays a baby growing in the womb and in the early years of life being comforted by his guardian angel. It is an incredible introduction to the sacredness of life in the womb as well as to the concept that we each have a guardian angel assigned by God to watch over us from the moment of our conception. Buy a copy of this book for your children, grandchildren, nieces and nephews, godchildren, and one for your parish library! You'll be glad that you did! What does it mean to live generously? 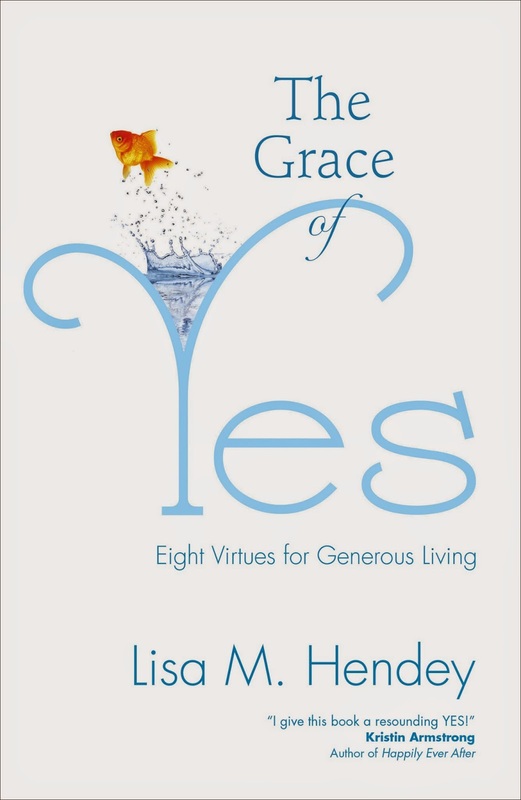 That is the question at the heart of Lisa Hendey’s new book, The Grace of Yes: Eight Virtues for Generous Living. Hendey, founder of CatholicMom.com and well-known speaker, offers readers an intimate look at her own struggles as she attempts to follow God’s will and say “Yes” to all He asks. In her early fifties, Hendey is in the newly empty-nest stage of life. She is able to look back over the years of her life, marriage, parenting journey, and career to see how God has led her to where she is today. One of the beautiful gifts of aging is that of hindsight, to be able to see God at work in one’s life over the course of a matter of decades. While most of us will not end up nationally known speakers, many women can relate to Hendey’s struggles in her marriage, her efforts to redefine herself after becoming a stay-at-home mom, her challenges in choosing what good opportunities she needs to say “no” to, her vulnerability in facing illness and aging, and the ongoing effort to be humble. Hendey has much wisdom to offer on all of these virtues, and one can only appreciate her honesty and willingness to share the messiness of her own life in order to encourage others. 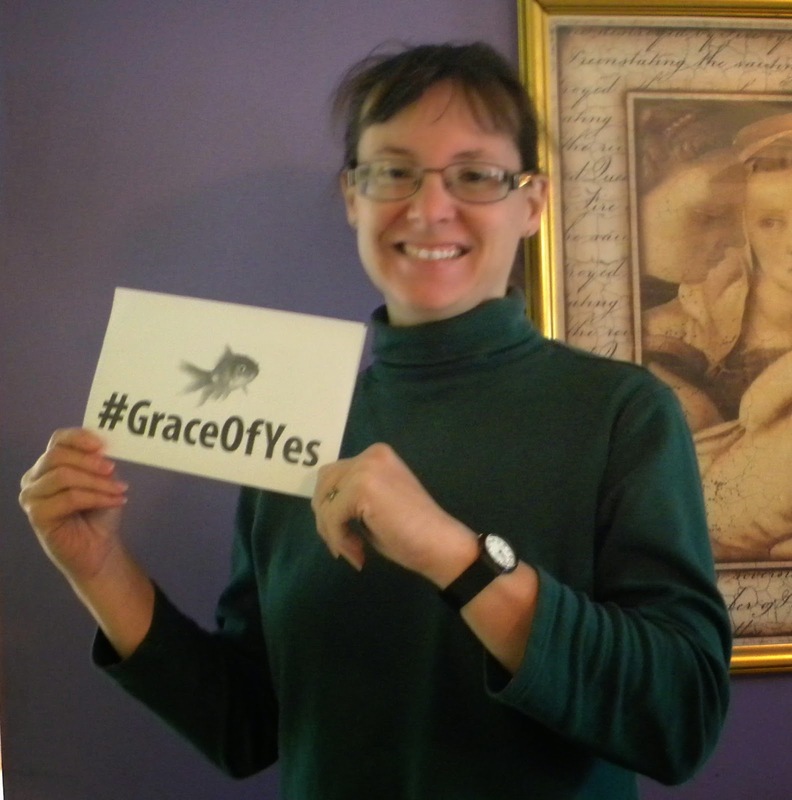 The Grace of Yes is an excellent book that will give you much to ponder.